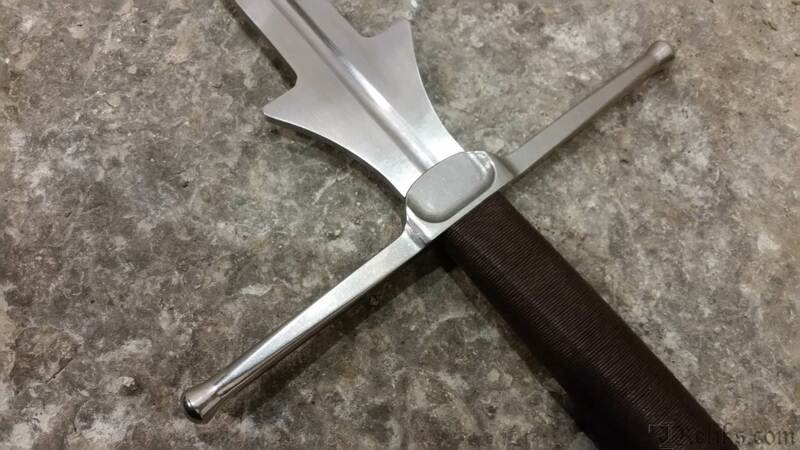 The Kingston Arms Sport Feder is an answer to the clubs, beginners and even seasoned practitioners that want a light, fast, safe and affordable sparring sword for HEMA longsword sparring. 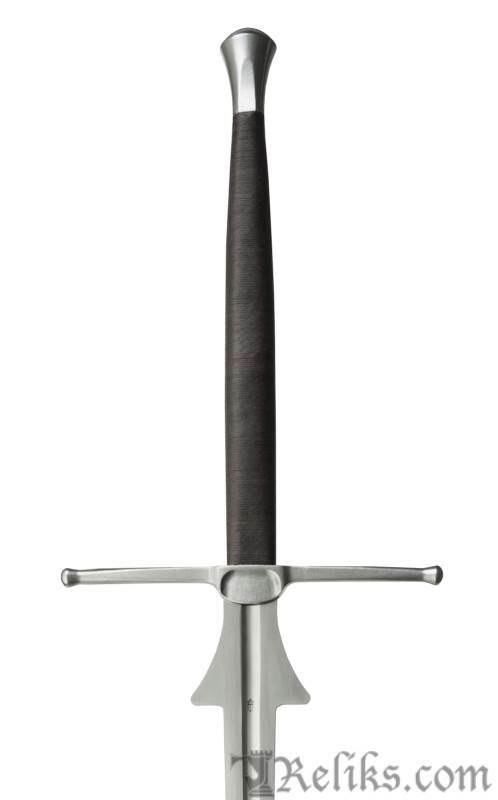 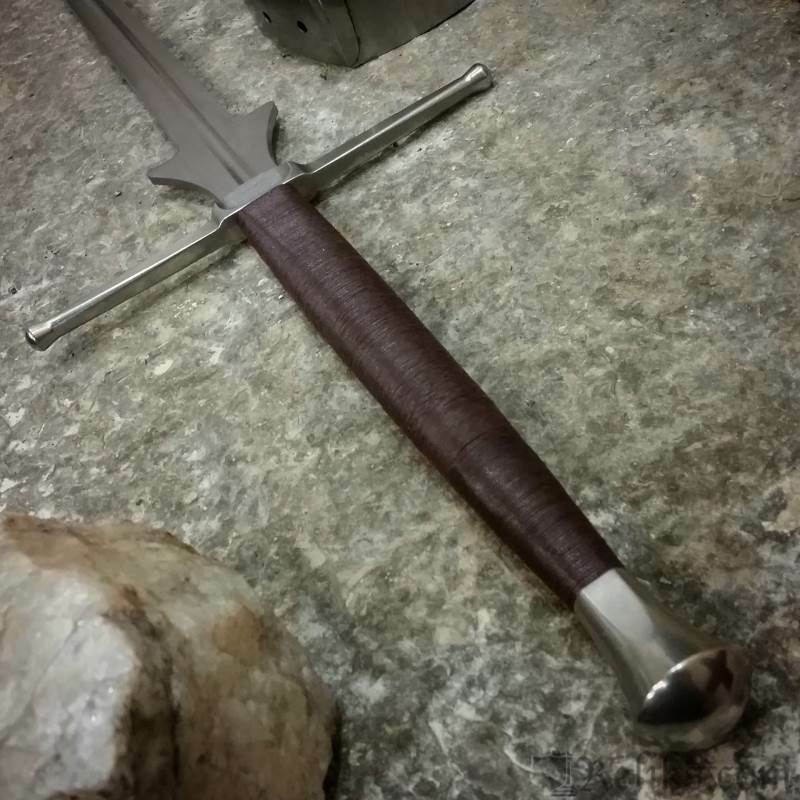 This federschwert was designed to be safe in the thrust by flexing in the last third of the blade while keeping the rest of the sword stiff in the bind. 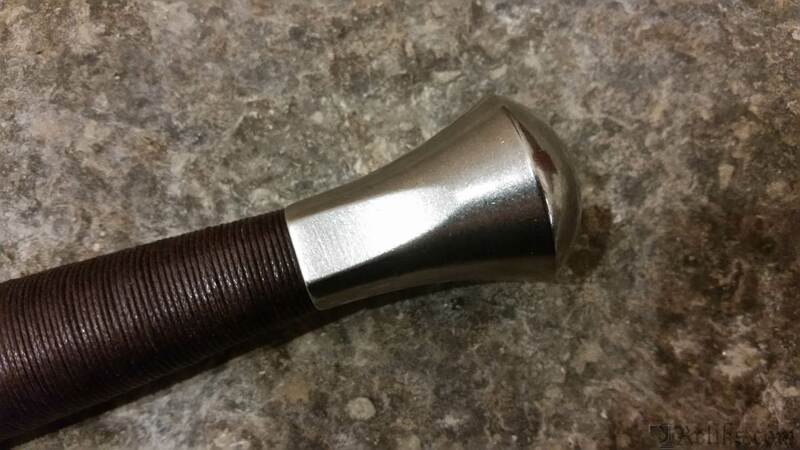 The tip is slightly flared in thickness as well and can be used as it is with proper equipment or fitted with a leather mask or plastic tip for an added degree of safety. 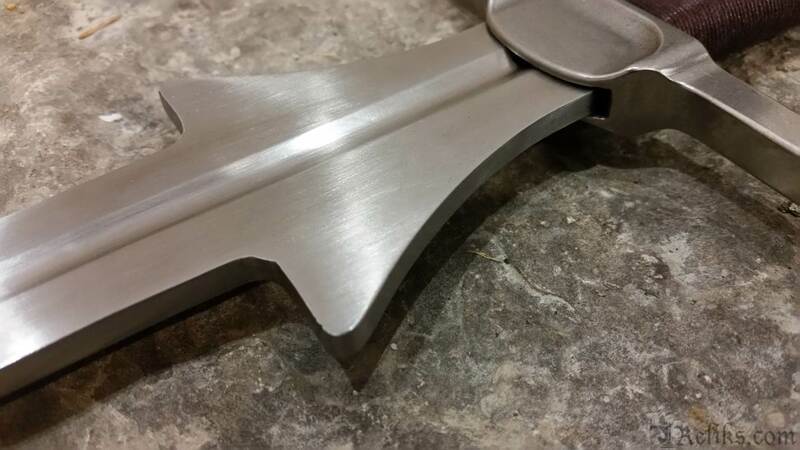 Other features include a ramped thumb guard, allowing easy placement of a gloved thumb onto and off the blade during guard transitions. 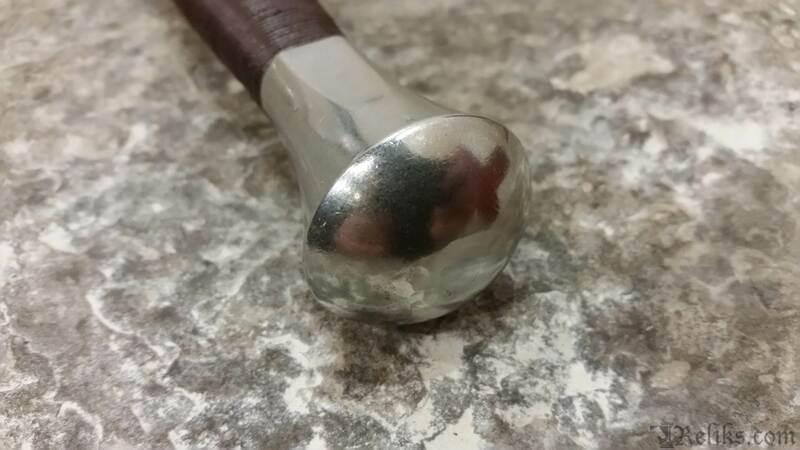 The pommel is indexed to the flat of the blade, making it second nature to distinguish proper edge alignment with the rearward hand. 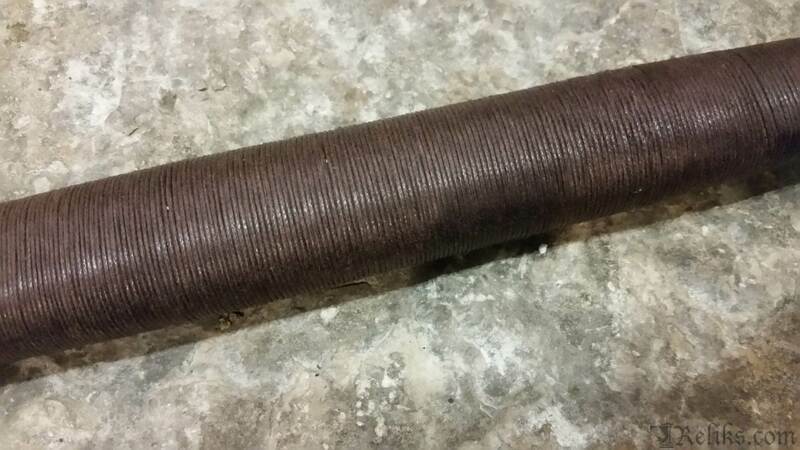 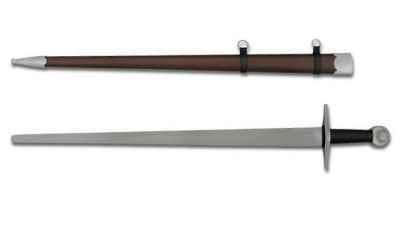 The wood core grip is in a well rounded rectangular cross section and tightly bound with an overwrap of cord to provide a firm grip. 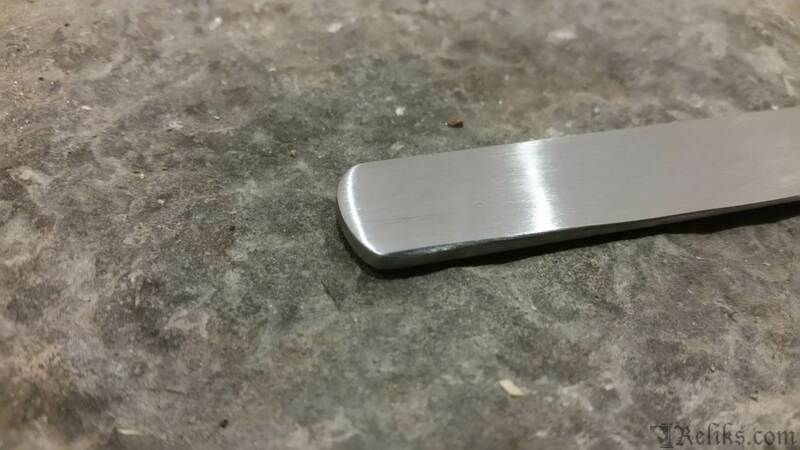 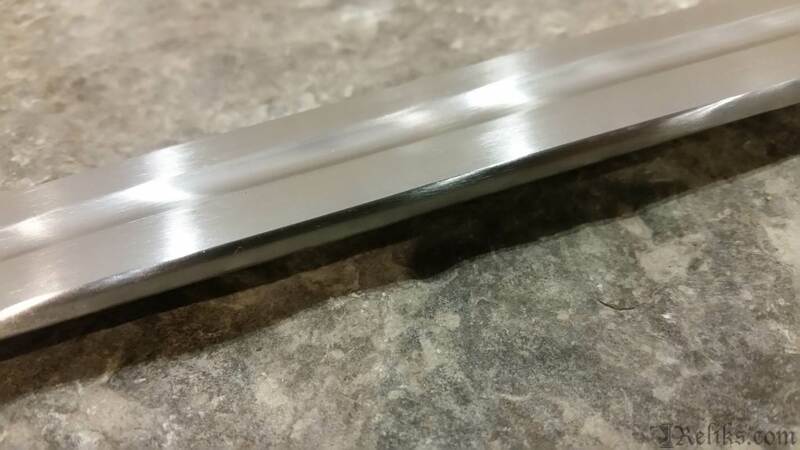 Thick Blade - The extra thick blade for Western Martial Arts and Stage use. 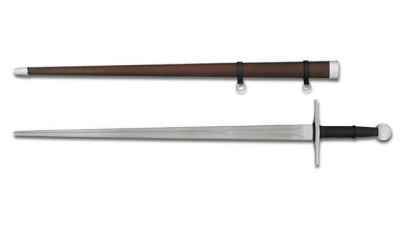 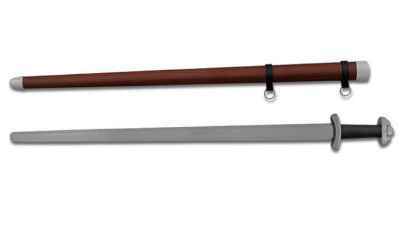 Kingston Arms Sport Feder - The Kingston Arms Sport Feder is an answer to the clubs, beginners and even seasoned practitioners that want a light, fast, safe and affordable sparring sword for HEMA longsword sparring.